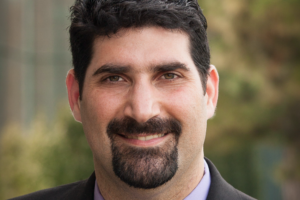 In July, the Jewish Federation of San Diego County announced that Michael Jeser would become its new CEO, following the retirement of Michael Sonduck. Jeser previously served as director of financial resource development at the Jewish Federation of Greater Portland, where he oversaw all aspects of the organization’s annual and supplemental fundraising campaigns for three years and also created its flagship leadership development and mentoring program for young Jewish leaders. For 20 years, Jeser has held roles in and out of the national Federation system, serving in senior management, fundraising and program positions with Jewish Community Centers, Jewish summer camps, and as the executive director of Hillel at the University of Southern California for four years. L’CHAIM spoke to Jeser following his move to San Diego but before he began his tenure at Federation, about what he hopes this next chapter will mean for his family, and for the San Diego Jewish community. L’CHAIM Magazine: So, Michael, why San Diego, and why now (besides our great weather, of course)? Michael Jeser: San Diego is really on the cutting-edge of the Federation system, being one of the first in the country to shift from an umbrella organization, which primarily allocated funds to other Jewish organizations, to a nonprofit that seeks out, and leverages and builds partnerships to address vital needs in the community. This also provides the opportunity for donors to really connect to their philanthropy as opposed to just writing a check and allowing Federation to decide where to allocate those funds. This is a great way to impact the community in a more effective manner, and I was deeply inspired by this bold decision; to focus on developing and supporting services that strengthen the local Jewish community, as well as the risk-taking nature and bold decision-making required of this Federation to really change the way it does its business made this job a really attractive opportunity. The Federation [here] has really positioned itself to be a flagship example of how to be a philanthropic organization and how to adapt in the 21st Century. L’CHAIM: Tell me about your background. What’s your Jewish story? I went to the local JCC and attended Jewish camp growing up, and so I don’t think it came as a surprise to anyone in my family that I chose to serve the Jewish community as a professional later on. L’CHAIM: You have a 20-month-old daughter. How does being a parent inform your outlook on Jewish life now? MJ: One of the exciting parts about making this move to San Diego has been the great number of opportunities for Jewish families, new parents and really people at all stages of their life to take advantage of this community. As new parents, I think it is very important to me and my wife personally, philosophically, and spiritually; to expose our daughter to our heritage our culture and our traditions. Signing up for classes at the JCC, participating in the community at a local temple, and when she is older, we want to take her to Israel. My parents did everything that they could to expose me to different Jewish backgrounds, and my wife and I want to give our daughter as many Jewish opportunities as we can, and San Diego is a great place to do that. L’CHAIM: What do you plan to work on once you begin working at Federation? MJ: My primary focus for the first 30-90 days will really be to just build relationships with our donor base, our community partners and stkeholders and clegy and other stakeholders in the jewsih community. I’m not trying to reinvent anything here, but to really immerse myself in the community, get to know the people here, and learn what it is that motivates them, inspires them, touches them and moves them to get involved as users, leaders and professionals. It is a real intense and in-depth process of learning and listening that I am excited to be a part of. For more information, visit jewishinsandiego.org.